Order online for the holidays! The Reg Barber espresso tampers are in a class by themselves. Considered the finest tampers in the world, Reg Barber espresso tampers are constructed with only the highest quality materials. 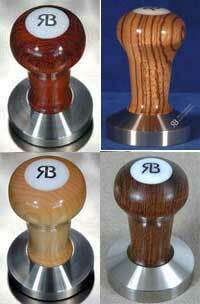 Features of the Reg Barber Espresso Tamper : Stainless Steel flat base and 3 1/2″ high wood handle. African Rosewood (Bubinga), Zebrawood, Maple or Wenge handles turned and polished to a beautiful shiny finish. Four sizes in stock (58, 53, 51 and 49mm). 49mm recommended for older (pre-2000) La Pavoni lever espresso machines & Elektra & Olympia lever machines. 58mm recommended for Pasquini Livia, Rancilio and most commercial espresso machines. At 1st in Coffee we feature espresso beans, espresso machines, coffee grinders, frothers and coffee makers. 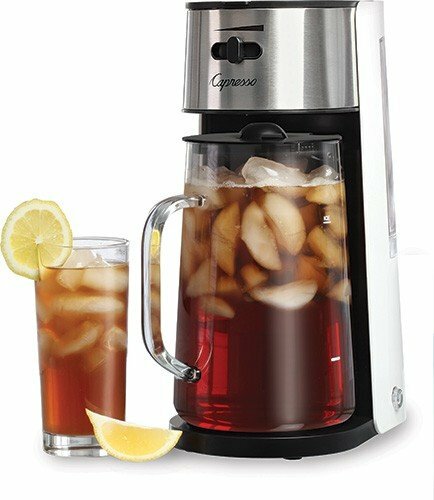 We feature the Jura Capresso espresso machine, Rancilio silva , Super Automatics, Saeco, Saeco Coffee Machines, La Pavoni, Electra, Pasquini, Isomac, DeLongi, Francis Francis, Nespresso Machine, Salvatore, Vibiemme and Cuisinart brands. 1st in Coffee offers the finest espresso beans illy and Lavazza.1st in Coffee also carries like-new refurbished espresso machines.